Led by China, Indonesia and India, Asian countries use social media more than their Western counterparts according to a new report by GlobalWebIndex, measuring social media usage. 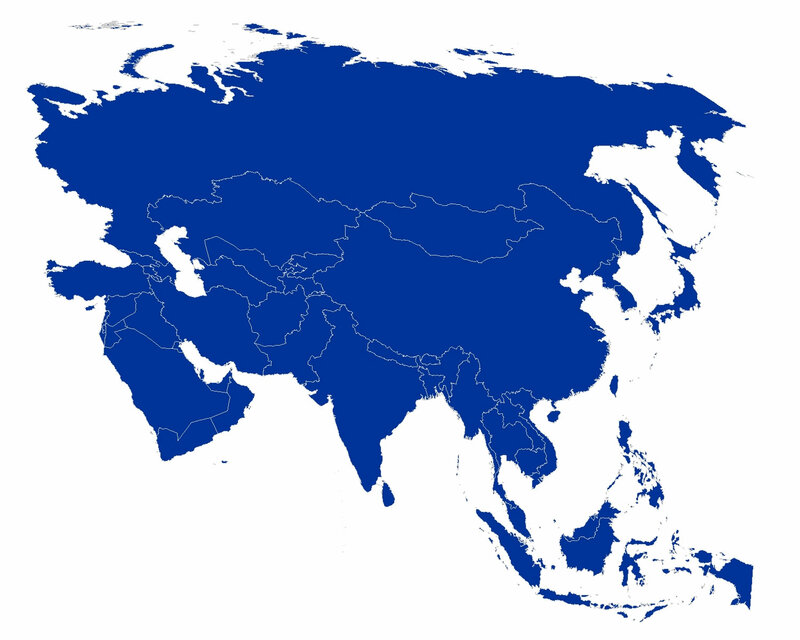 India is the third most socially engaged countries of the world. GlobalWebIndex is an ongoing global study into the internet consumer’s attitudes. It has developed Social Engagement Benchmark (SEB) a simple measure to access how socially engaged a particular consumer segment is. It aggregates social consumer engagement in participation, content creation and brand engagement. This is done using 12 important social behaviours They are then aggregated to one holistic measure and weighted to 100 point scale with the highest ranking global demographics ranked as 100. It helps you compare a variety of markets and consumer segments in a quick and simple way in order to prioritize investment, allocate resources and identify priorities. The league table has been calculated using GlobalWebIndex data from 31 countries detailing how much consumers participate in social media, whether they create or upload content and whether they engage with brands via these platforms either to review products, like a brand or upload content to brand sites. The SEB is a neutral platform and measures total active use of social media rather than usage of specific global, regional or local platforms such as Facebook, Twitter or Weibo. The Social Engagement Benchmark reveals that consumers in fast-growing economies are more likely to use a social network or a microblog, upload a photo or video or review a product or brand than consumers in more mature countries. 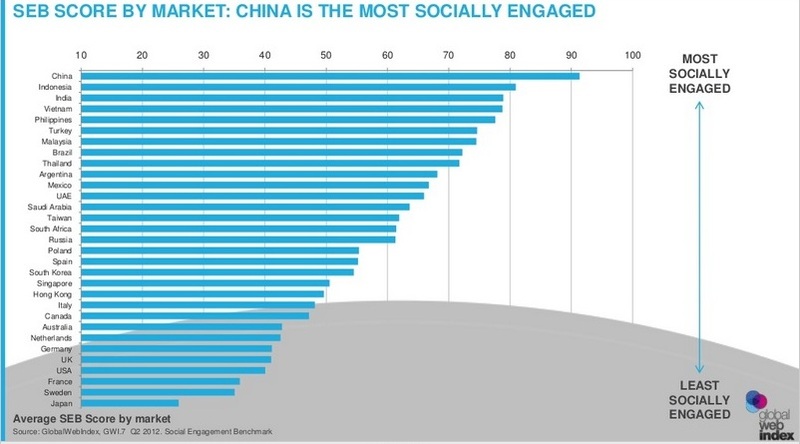 The most socially engaged group was high income (top 25%) in China while the least active are 55-64 year olds in Japan. Stunningly, the countries lagging behind the Asian social powerhouses are those such as the US, Japan, Sweden, France and the UK that are traditionally viewed as mature and technologically advanced. The report articulated that this is because online activity in these markets was developed before social became mainstream and is consequently less incorporated into daily use. commented Tom Smith, founder of GlobalWebIndex. A 'Malaria Mosquito' is poking people on Facebook! Facebook Offers - Is Zuckerberg Feeling the Heat to Prove Direct Returns from Facebook?